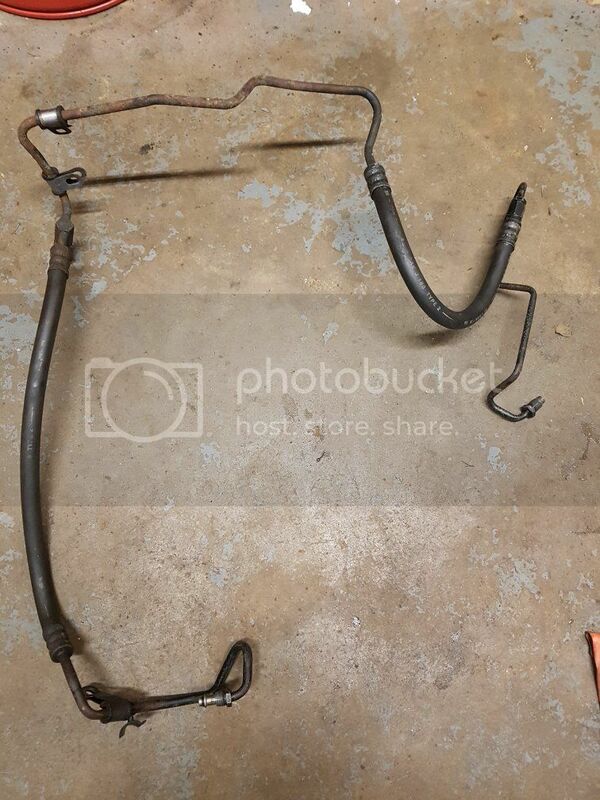 I am after a replacement power steering pipe, it is the metal pipe that coils round and attaches the sub frame via the rubber mount, mine has corroded and poured power steering oil all over the exhaust. Anyone know where i can get one from, really struggling to find anywhere with one. Is that the high pressure one that goes from the pump straight to the rack and consists of metal pipe and rubber hose? Depending on your end connections I may have one for you. All gti6 will be the same buddy just the sensor may need swapping over if it's a different connection. If alcon doesn't have one I should have one, but won't be able to check till next Tuesday. Yes it is, I believe, I can send you a picture if you want to be certain. 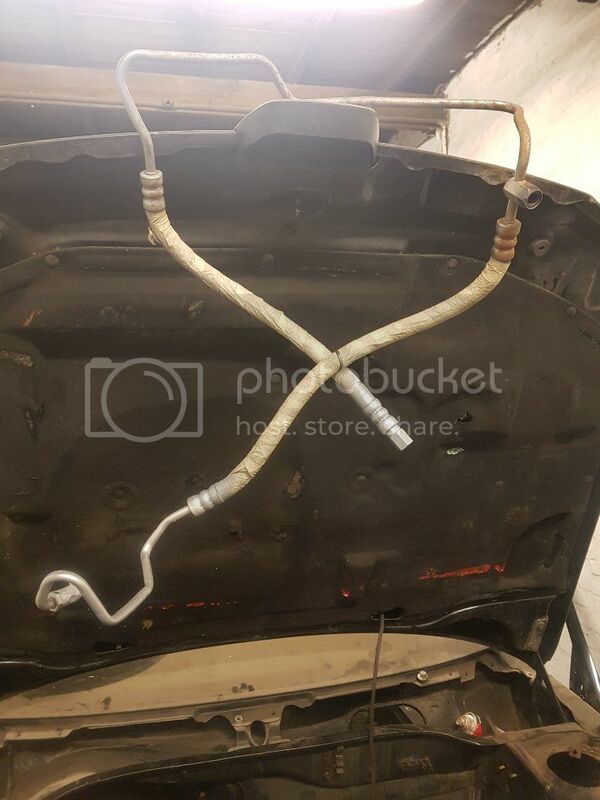 The reason I was asking about the end connections is because the new rack and pipework I bought was from a Xsara VTS and I noticed the pipe ends are different to the ones I removed from the Rallye. Ryan has confirmed all GTi-6's are the same but I'm wondering if there's a difference between the 6 and the rallye. There part number of the pipe for my 6 is 4014 33 but for the rallye it's 4020 KQ. The pipe is currently still fitted to the car so can't see it fully for a P/N or 1 of the connectors. 1 end is just a rubber pipe over the metal pipe held on with an O clip. The difference is where it connects to the rack. The VTS pipe is held in place with a metal plate but the 306 ones have a threaded union similar to a brake pipe. When I'm back at the garage I've have a look at the ones I've got and let you know or send you pics. Did you get chance to see if you have the same pipe? This is the pipe I have. Ignore the masking tape on the rubber hose, I was blasting and painting the ends but never finished the middle section. Yeah it is a different connection where it goes into the rack, it needs to have the threaded Union connection for the 306. Thanks for looking anyway. That's not a full pipe it's been cut hasn't it ? No, it's not cut but there's another metal pipe that connects to the end. It was off for cleaning and painting. This is the full pipe before I started cleaning it. do the xsara vts pipes come apart at this location?? Not that I know of ?? Mine definitely unscrewed and I'm pretty sure it's all original. I just can't remember if this is the pipe of the Rallye or the one off the Xsara rack I bought!! That looks threaded at the rack end so it's a 306 pipe. The vts p2 are push fit with a bolt in the middle holding both pipes. I've not seen a vts or 306 one come apart like that before.